We are the Toledo Holzhacker Buam of Toledo, Ohio. We are an organization with the goal of maintaining and preserving our Bavarian heritage. We are affiliated with the GBU (Greater Beneficial Union), District 510 of Toledo. 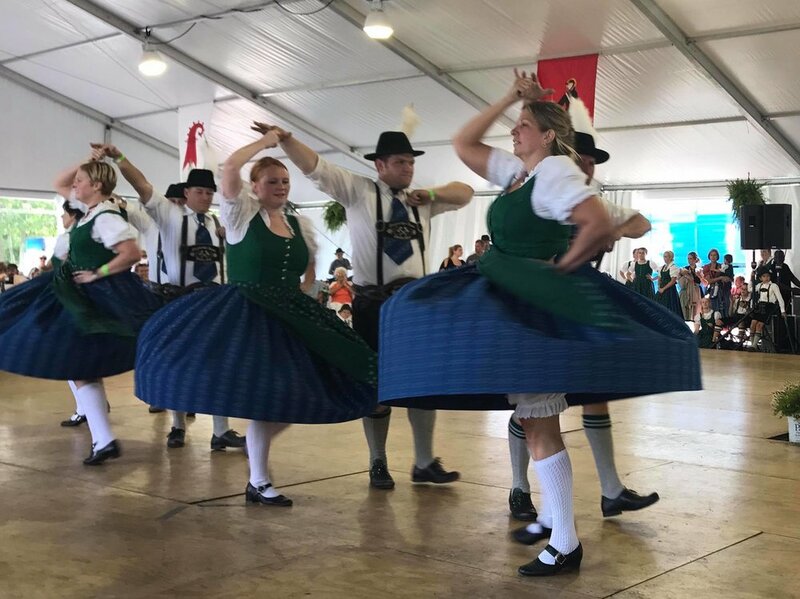 THB dancers and members wear Bavarian Tracht (traditional ethnic clothing) and perform traditional dances and music from Bavaria, Germany and Tyrol, Austria. Our membership includes a variety of ages - some as young as 2 and some as mature as 70+! We are always growing and welcome new members. The only requirement to join our organization is a respect for and appreciation of our Bavarian and Tyrolean culture. If you're interested in membership, click here to learn more! Our dedicated team of THB leaders keep our Tanzgruppe running smoothly. Click here to view our current THB Officers! A four-day Bavarian and Austrian celebration! Join us at one of our many events, practices, or performances! Be sure to check out our Facebook page and YouTube channel! "Die Holzhacker," or "The Woodchopper", is the Toledo Holzhacker Buam's namesake dance. It has two parts. The first part is the wood-chopping dance, where our woodchopper boys compete to chop a log in the middle of the dance floor. The second is called the "Steirer" and is reminiscent of a romantic chase. Enjoy!